Calgary, Alta. 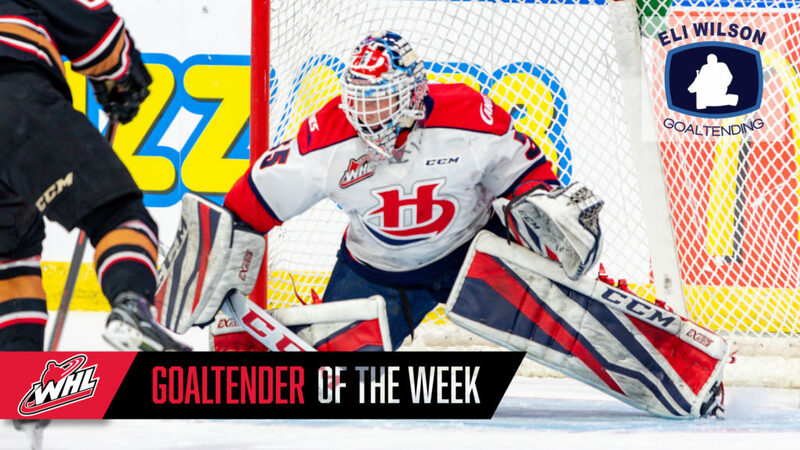 – The Western Hockey League announced today that Carl Tetachuk of the Lethbridge Hurricanes has been named the WHL Eli Wilson Goaltending Goaltender of the Week and league nominee for the Vaughn CHL Goaltender of the Week for the week ending March 24, 2019. In two appearances this week, the rookie goaltender sported a 2-0-0-0 record, 1.43 goals-against average and stopped 63 of 66 shots for a .955 save percentage as the Hurricanes won Games 1 and 2 of their first-round WHL Playoff series against the Calgary Hitmen. 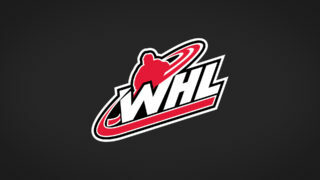 In his first career WHL Playoff game on Friday, Tetachuk stopped 31 shots from the Hitmen in a 3-2 overtime win for the Hurricanes and earned the third star of the game. Stopping 10 shots in the first period, 12 in the second, six in the third and three in overtime, Tetachuk also recorded the first playoff win of his WHL career. 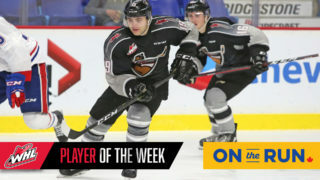 On Saturday, Tetachuk improved upon his Game 1 performance by stopping 32 of 33 shots from the Hitmen in a 4-1 win, backstopping his team in Game 2. Stopping eight shots in the first period, 12 in the second and third, Tetachuk was given the second star of the game. Through 37 games in the 2018-19 WHL Regular Season, the 6-foot, 170-pound netminder posted a record of 24-9-1-1 with a 2.88 GAA, .909 SV% and two shutouts. 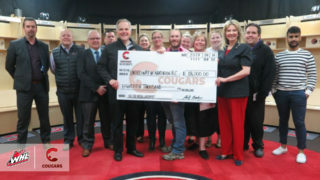 Last season, the Lethbridge, Alta. 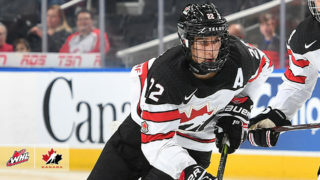 native was listed by the Hurricanes and played for the Lethbridge Midget AAA Hurricanes in the Alberta Major Hockey League (AMHL) where he appeared in 18 games, maintaining a 1.81 GAA and .919 SV%. 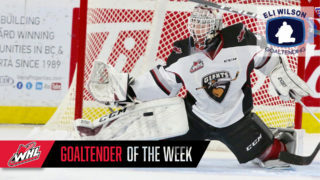 As a break-out rookie, Tetachuk was named WHL Rookie of the Month for February 2019 and is appearing on the WHL Eli Wilson Goaltending Goaltender of the Week list for the first time. Up next, the Hurricanes will visit the Hitmen on Tuesday, March 26 (7:00 p.m. MT) at the Scotiabank Saddledome for Game 3 the first-round series.